What to visit and see in Bullas and its surroundings? What to visit? What to see? Where to go? Bullas and its surroundings offer many places to discover, in an offer of nature, surprising culture and leisure, with a rich calendar of festivals and traditional events that come together perfectly to your stay. Every first Sunday of the month, in the streets of the Old square and the Castle ruins, the artisan market “El Zacatín” is celebrated, with typical and authentic quality products, typical of both the town of Bullas and the Northwest region. Each month the market has a different theme, dynamic with performances and live demonstrations by local and regional artisans and craftsmen. Bullas offers interesting guided tours through the old town of Bullas, as well as themed guided tours, accompanied by an official tour guide who, in an entertaining way, discovers interesting secrets and funny anecdotes of the town, a different way to discover Bullas and its environment. What better way to discover the town than with a pleasant walk around the streets and alleys of the old town. We recommend you to visit among others, the Parish Church of Ntra. Sra. Del Rosario, the Clock Tower or Tower of Santiago and the House of D. Fco. Carreño and the House of D. Pepe Marsilla. Mandatory visit in Bullas, the Usero waterfall, located 2 km from the town, is a beautiful natural area where the Mula River flows. It is located on the Monte del Castellar, in the area of “El Molinar”. 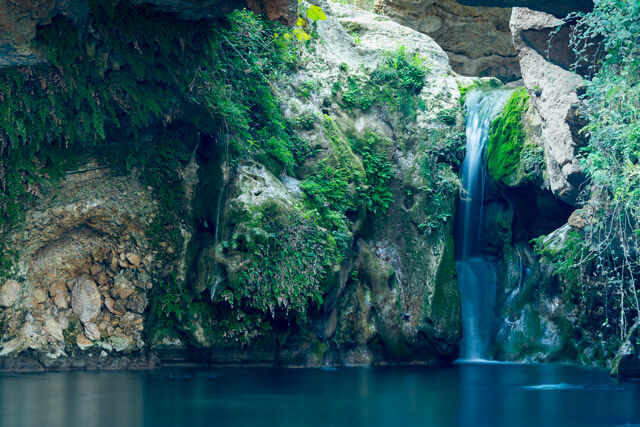 In this enclave of singular beauty, the water runs between a lush vegetation, a waterfall and rocks of curious shapes that the water has modeled over the centuries. The Wine Museum Bullas takes place in an old and beautiful restored winery, and is one of the few in the region that preserves its original structure and materials. Through its different permanent & temporary exhibitions you can get into the mesmerizing culture of wine, closely related to Bullas and its people since ancient times. The Wine Route of Bullas, is an open itinerary that runs between different winemaking areas & landscapes, events and establishments —including the wine museum— that show the rich vinicultural heritage of the region. More information about the Wine Museum. More information about Bullas Wine Route. The house museum of Sir Pepe Marsilla is a splendid restored manor house that preserves, intact, its structure and its decoration. 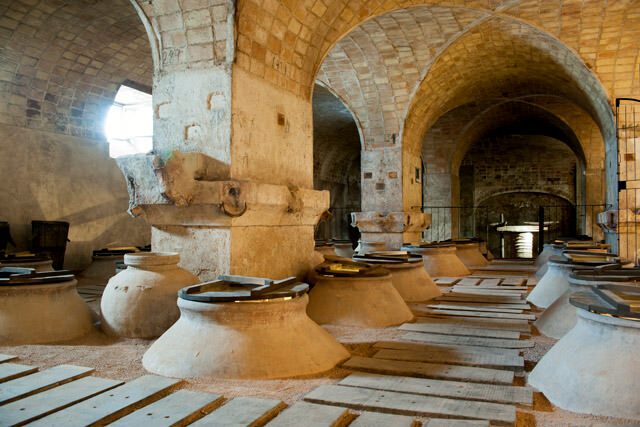 During the guided tour you will jump back in time through its different rooms and spaces; including a traditional family winery, crafted furniture, decoration and utensils. A glimpse to the social structure and the way of life of the inhabitants of the stately Bullas of the 19th century. 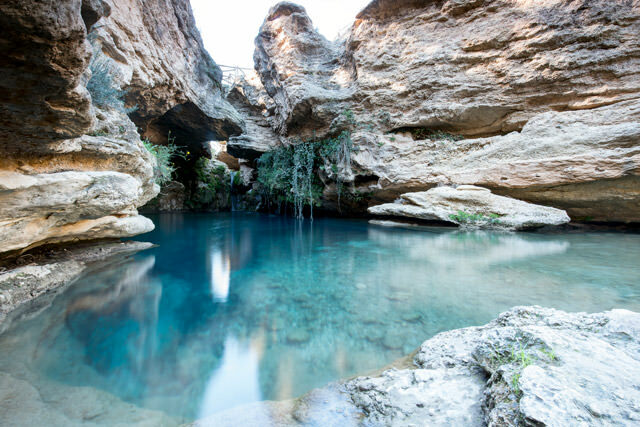 The camping of “La Rafa” is located next to the Mula River, where the source of the natural stream of the same name is located. It was a natural space formerly destined for the production of silk. Nowadays you can have access to the campsite area, sports facilities center, restaurant and ample spaces for leisure and walking, ideal for families with children. In mid-August, a few kilometers from Bullas, in the districts of Cehegín de el Chaparral and Arroyo Hurtado, they celebrate their traditions with varied gastronomic and cultural activities in the name of their patron, Mrs. de la Asunción. A few weeks before and after the patron saint festivities, in Bullas, the tapa route fair and the wine fair take place. The town is in effervescence with cultural and gastronomic activities that will allow you to know the essence of the place and its people. The first Friday of the October month, the famous and picturesque “Noche de las migas” takes place, where locals gather at night to cook a traditional dish of breadcrumbs accompanied with fried fish or meat, grapes and local wines. On Saturday morning stars “La Diana” A bit of mess, dirt and fun in this parade with charanga band where eggs and flour are thrown. On Sunday there is a parade of floats and the Floral Offering. The hamlet of La Copa de Bullas holds several performances of traditional folk music played by the bands of “Auroros and San Antón” In January, takes place the popular auction and the traditional “Baile del Inocente”. In the middle of the month the Bullas Cup celebrates the festivity of San Antón, one of the most popular parties in the district. The great bonfire is celebrated on Saturday and recalls traditionally, the people of the field did to thank the employer for having kept their animals healthy. It is accompanied by a fellowship dinner of all the cupbearers and visitors. The bonfire will start burning from 8 o’clock in the afternoon, before, at 4 o’clock in the afternoon, a band will go through the streets of the town encouraging the neighbors and, house by house, the board will deliver the program of parties. The meat is roasted and distributed among the public, accompanied by wine from the D.O.P. Bullas. The last weekend of April is celebrated San Marcos, moment of exaltation of the rural world with a multitudinous parade of floats that brings together thousands of people dressed with the traditional folk garments. In Holy Week, five Passion brotherhoods and four processional parades participate, on Holy Thursday, Good Friday (morning and night) and Easter Sunday. During the Night of San Juan an emotive love story legend is performed at the gorgeous river scenario of Salto del Usero. It represents the mystic legend of a beautiful young couple who -against their fate- meet in the pure waters of the waterfall pool. People from the village walk at night to the site to feel once more the mystery of this enduring love story.